Lenovo’s Z series of machines stands for mainstream entertainment—or, as Lenovo puts it, “the perfect balance between performance, design, and affordability.” It’s the spiritual successor to last gen’s IdeaPad Z400 (which featured ULV Ivy Bridge CPUs, Windows 8, and a weight of around 2.4 kg), with similar construction, build quality, specifications, and pricing. No longer will you find an option for touch, but it’s just as well, as the value is arguably better for the cost in exchange. 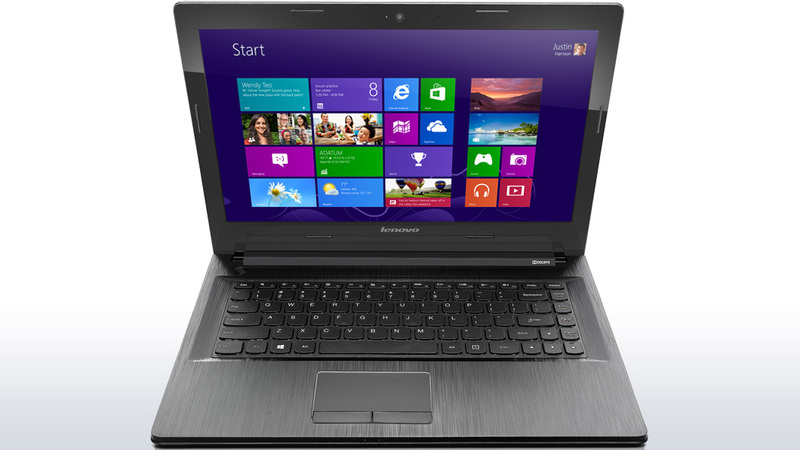 Configurations include i5 and i7 Haswell ULV CPUs paired with a dedicated GeForce 820M GPU. 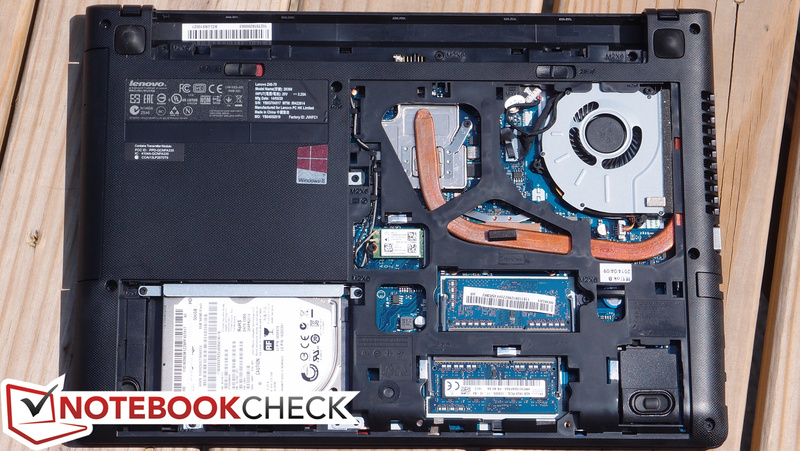 Our review unit features an Intel Core i5-4200U CPU with 6 GB of DDR3L RAM, plus a 500 GB SSHD (solid state hard drive). 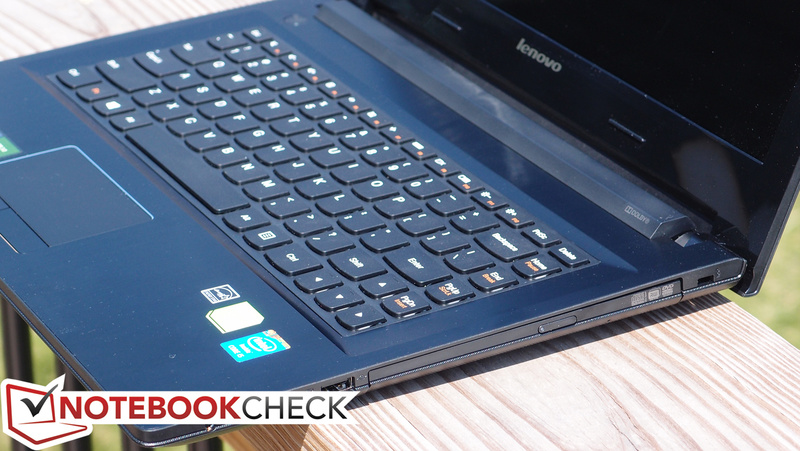 It retails for just $589 on Lenovo’s site, which is pretty affordable considering the specs. With a price like that, we have to expect some compromises. So, what’s the catch? Right from the start, the biggest compromise of all is immediately obvious. 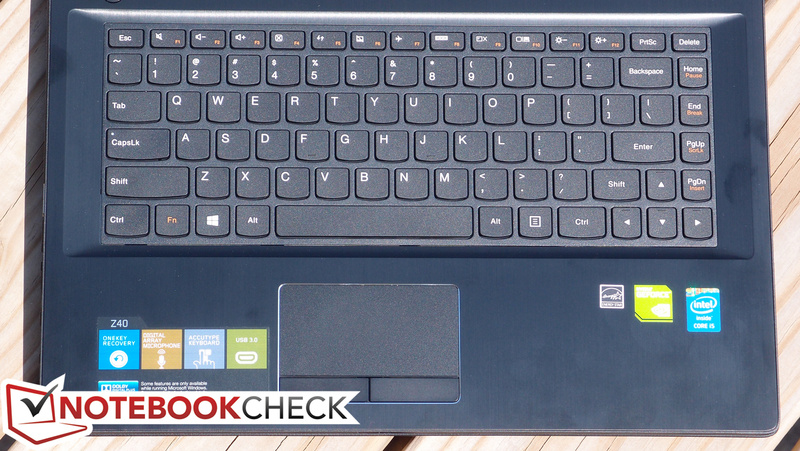 It isn’t that the Z40 is poorly-constructed, but rather that it simply looks and feels like a budget PC. For starters, the display lid is lightweight and flexible, providing only a reasonable degree of protection to the glossy TN panel it houses. Torsion resistance is fairly weak and the screen exhibits notable distortions with only minor pressure on the back of the lid. Meanwhile, on the other side, the glossy plastic bezel is about as low-cost as can be sourced, providing an eternal home for fingerprints and smudges and almost immediately developing scratches and scuffs even from simply being closed against the aluminum trim covering the base unit. Speaking of which, that brushed aluminum surround is the only part of the entire machine to carry a slightly higher-end presentation. It’s a single piece that does seem to provide some degree of additional sturdiness to the base unit; in fact, it’s hard to fault the Z40 here, as the base unit handles moderate pressure pretty well, except for along the edges of the machine (especially over the optical drive) and above the keyboard. The actual body and frame itself (including the bottom of the machine) is comprised of a cheap-feeling plastic, however, that feels like the sort of thing we’d find on Lenovo’s G series. The hinges also fail to impress, allowing frequent vibrations of the lid which produce annoying dancing reflections. The 28.6 x 346 x 244.5 mm (H x W x D) machine weighs in at 2.066 kg, which is a bit on the heavy side for a laptop of its size (and comparable to the XPS 14, which in turn possesses a completely metal case). Fortunately, upgrading or repairing is a snap thanks to the inclusion of a single maintenance hatch on the rear under which all of the components rest. 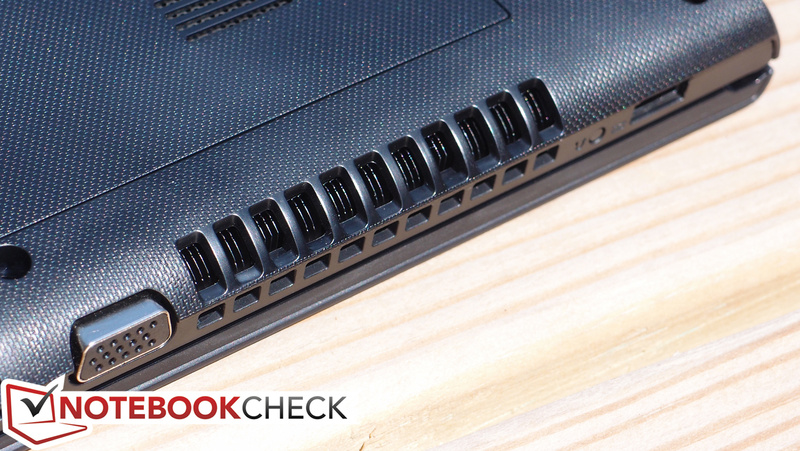 The Z40 includes a reasonable selection of ports for a 14-inch notebook, though there are a few drawbacks. You’ll find three USB ports total (only one of which is USB 3.0), two video output options (VGA and HDMI), and the usual range of other options. The inclusion of an optical drive will please some consumers, though its presence consumes valuable edge real estate and results in a bit of a crowded situation for the ports lining the left side of the machine. A single-band Qualcomm Atheros AR956x is included for 802.11n wireless connectivity. Alongside it is Bluetooth 4.0 + HS (courtesy of a Qualcomm Atheros AR3012), and finally, Gigabit Ethernet via Realtek chipset. Throughout our testing period, we found wireless performance to be acceptable with few problems. The 720p webcam is nothing special, but it gets the job done. 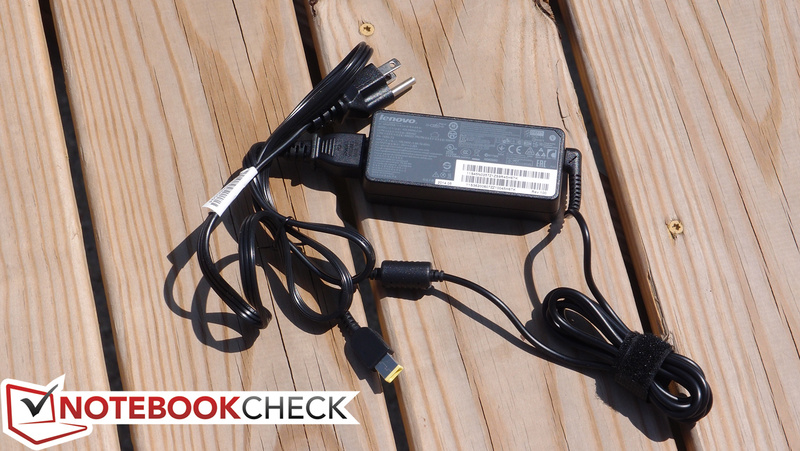 The Z40 includes no accessories apart from the usual power adapter—which is a standard 65 W weighing in at 334 grams. Also included is a one-year non-transferable Limited Warranty. 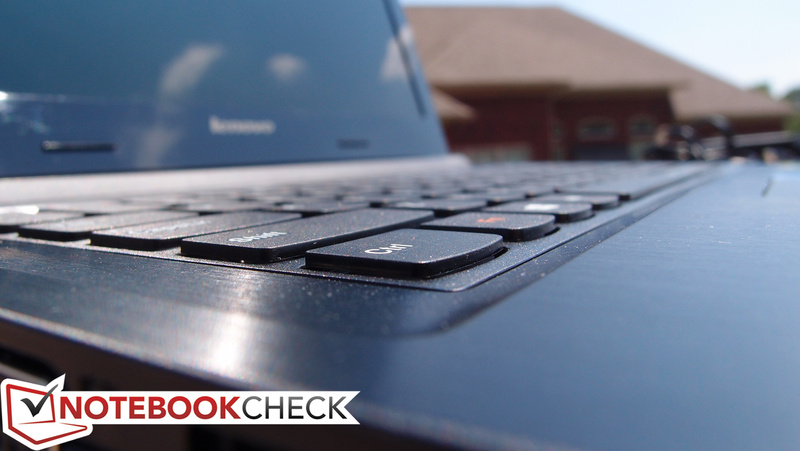 The Z40’s keyboard is a swift reminder that there are different grades of the Lenovo AccuType models. 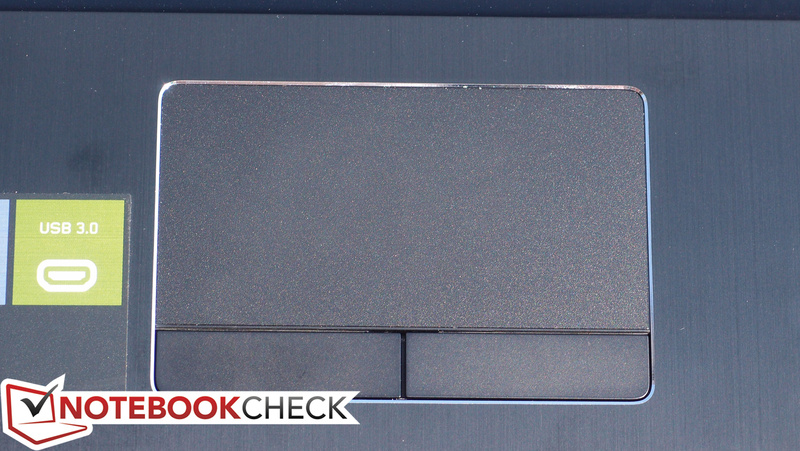 Unlike the excellent iterations found on notebooks like the ThinkPad Edge E431, this one is much closer to the rather mediocre rendition we’ve encountered on the IdeaPad Yoga series. It features the same layout, with the navigational keys (Home, End, PgUp/PgDn) relocated to the far right side of the keyboard—an approach which, in conjunction with the shrunken form factor of the Backspace and Enter keys, makes adjusting to the typing experience on the Z40 a little harder than most. 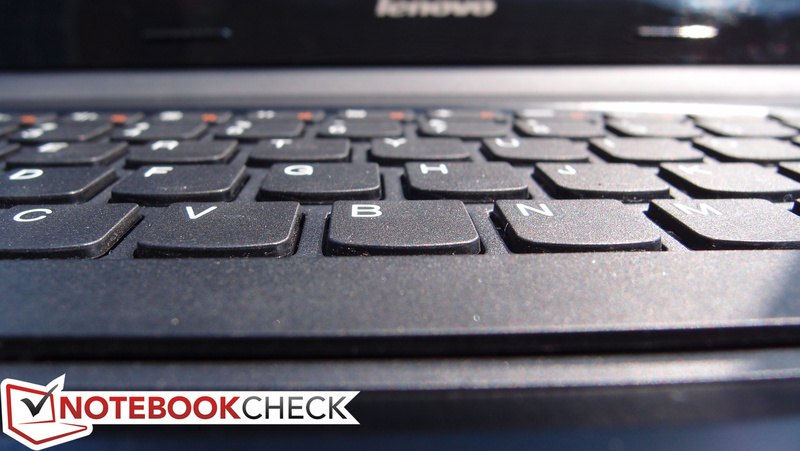 The keys also lack the longer travel and superior tuning of their ThinkPad counterparts (and also of those found on the Edge E431 and similar models). 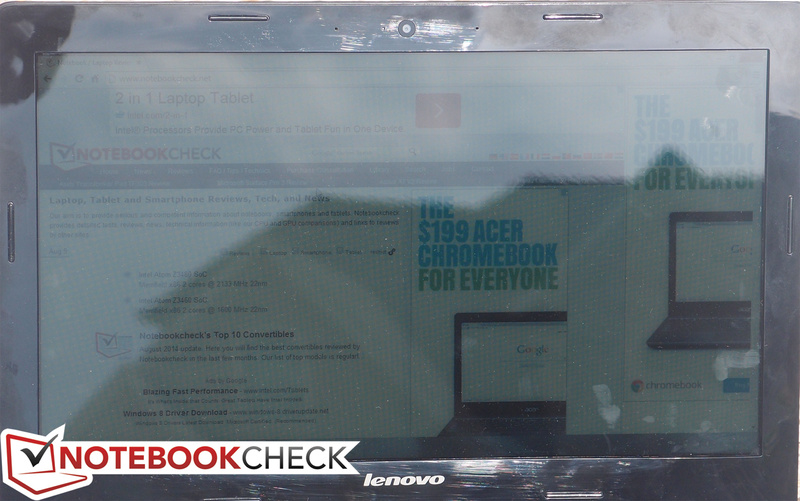 It’s not a bad keyboard by any means, but it’s far from the best Lenovo has to offer. 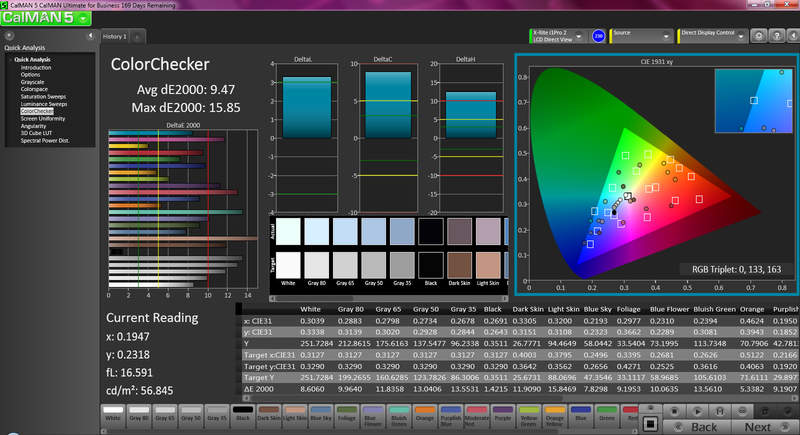 Meanwhile, the touchpad is pleasantly surprising. It’s responsive, comfortable to operate, and—despite its relatively small size—large enough to cover the meager real estate of the 768p panel. 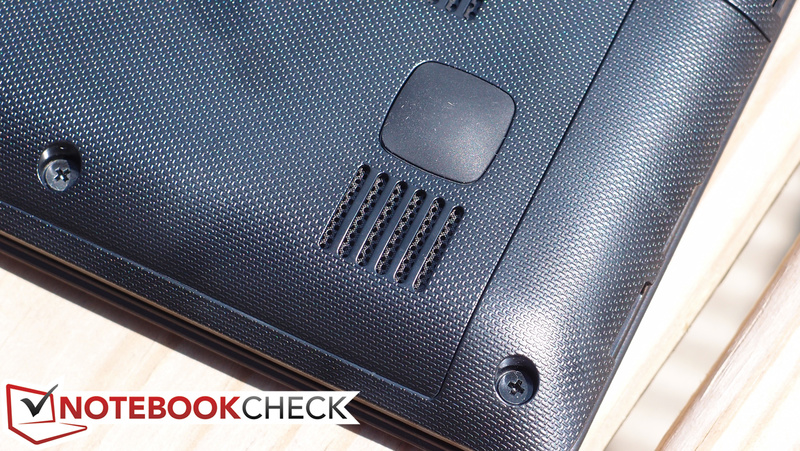 It also includes two separate physical buttons, which is becoming something of an unfortunate relic in many spaces (see Lenovo’s own ThinkPads and their controversial clickpads). We experienced no problems with gestures. 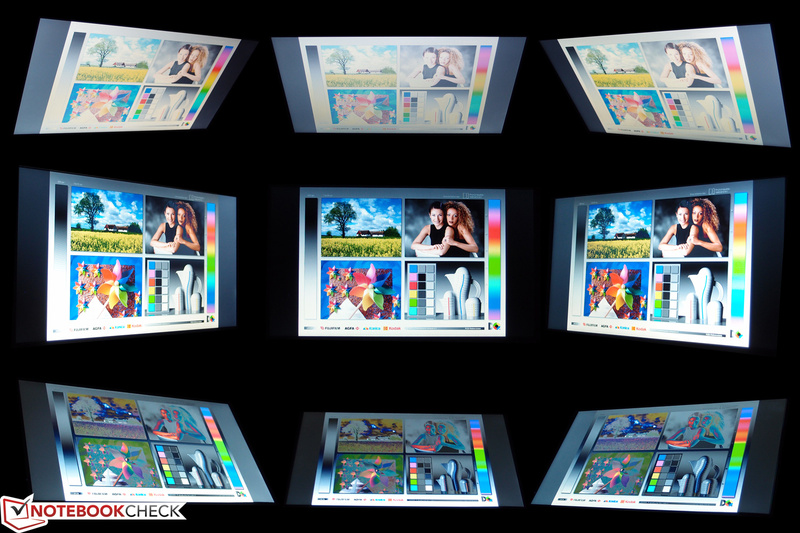 The Z40 features only one display option*: a 14-inch 1366x768 (768p) glossy TN LED panel. That’s just 112 PPI, which is low by any standards. Subjectively, colors appear rather flat and contrast seems pedestrian at best, further cementing the Z40’s role as a budget PC at heart. 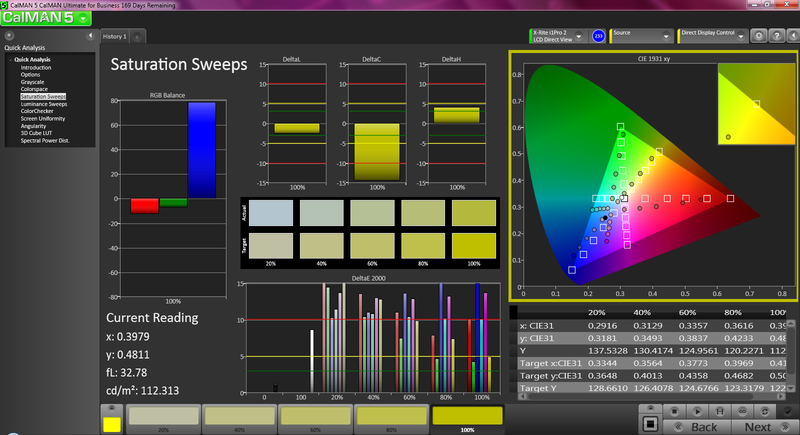 Our measurements lead us to an average brightness of 225 cd/m², well below the 300+ cd/m² we prefer to see for comfortable viewing in more brightly-lit environments. Contrast is equally disappointing at just 355:1. At least the brightness distribution is reasonably good at 87%. Color coverage measurements confirm their bland appearances; we measured just 53% coverage of the sRGB gamut. Needless to say, the Z40 is completely unsuitable for anyone interested in any significant degree of photography or graphical work. 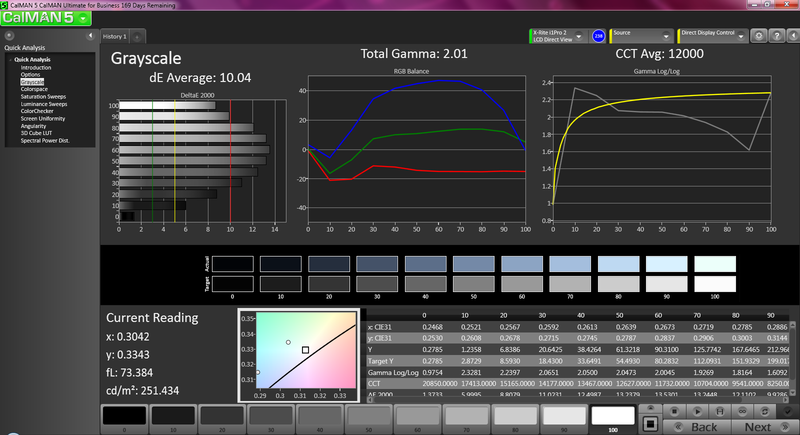 CalMAN 5 provides further criticism, with huge deviations in accuracy resulting in a large average DeltaE2000 of 9.47. Meanwhile, a Grayscale dE average of 10.04 is equally discouraging, and the CCT Avg of 12000 is far above the ideal value of 6500. Across the board, it’s just a thoroughly disappointing performance for the Z40’s LCD—below that of even most other budget TN panels. On the bright side, however, following calibration, things look far less dire (see our screenshots below for all the details). The Z40 is only usable outdoors when in the shade, as anyplace else, the glossy finish and poor brightness quickly take center stage. Finally, viewing angles are also poor, resembling those of most other low-end TN panels. 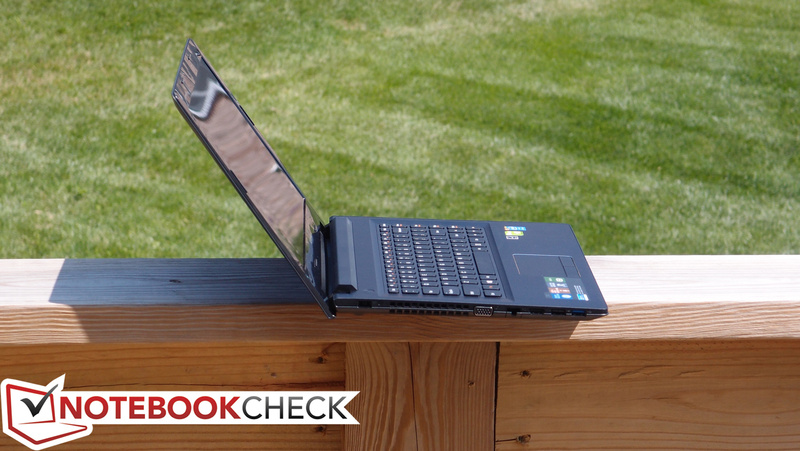 There are only two CPU choices for the Z40: a Core i5-4200U (up to 2.6 GHz) and a Core i7-4500U (up to 3 GHz). 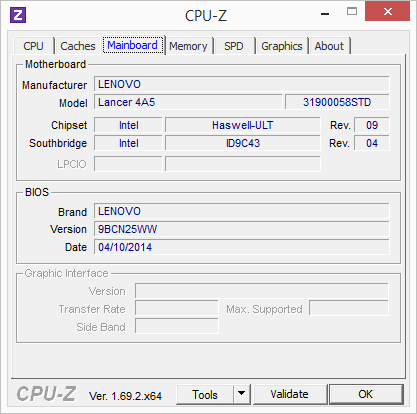 Both processors are dual-core ULV chips belonging to the Haswell architecture. 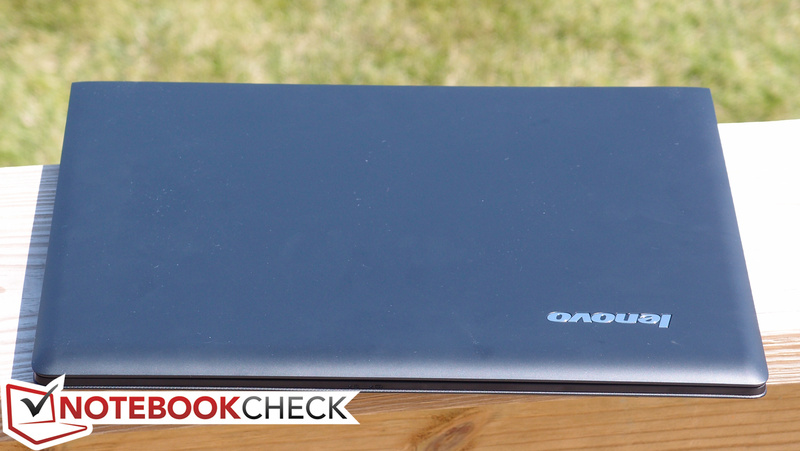 Our review unit includes the former, which is also one of the most popular CPUs currently offered in lightweight notebooks. 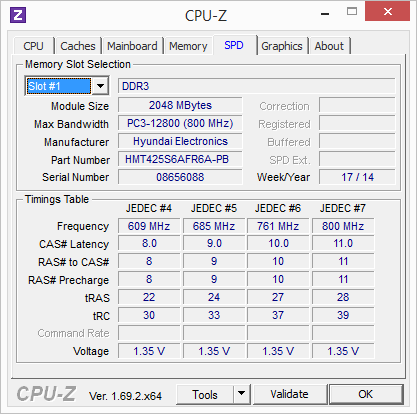 For memory, there’s the option of either 6 GB or 8 GB of DDR3L 1600 MHz RAM (our review unit featured 6 GB), with only the 8 GB option serving as a dual-channel configuration. Before moving on to evaluate the CPU in greater detail, we performed a run of 3DMark 11 while unplugged to discern whether performance would diminish on battery—and it did not (the result of 1381 was identical to that on AC power). 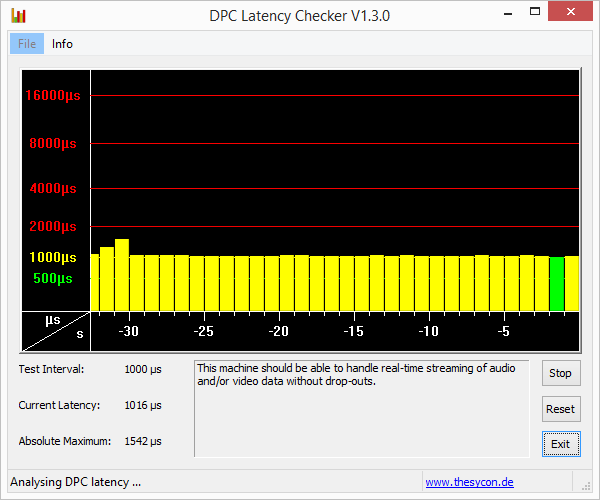 We also checked for deferred procedure call latencies using DPC Latency Checker to help predict the machine’s ability to handle real-time audio and video streaming. With no abnormal latencies detected, there should be no issues. 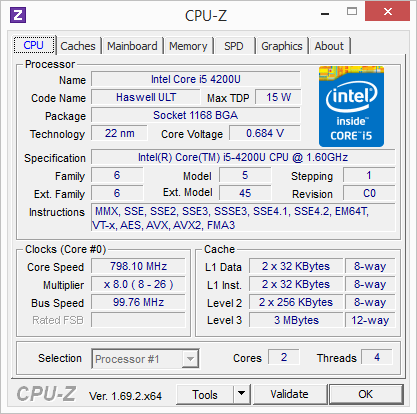 The Intel Core i5-4200U is a dual-core ULV CPU with a base clock rate of 1.6 GHz and the capability of reaching a maximum Turbo Boost frequency of 2.6 GHz (single-core) or 2.3 GHz (dual-core). It’s a popular choice in modern ultraportables due to its solid balance of power and efficiency (thanks to a TDP of just 15 W). 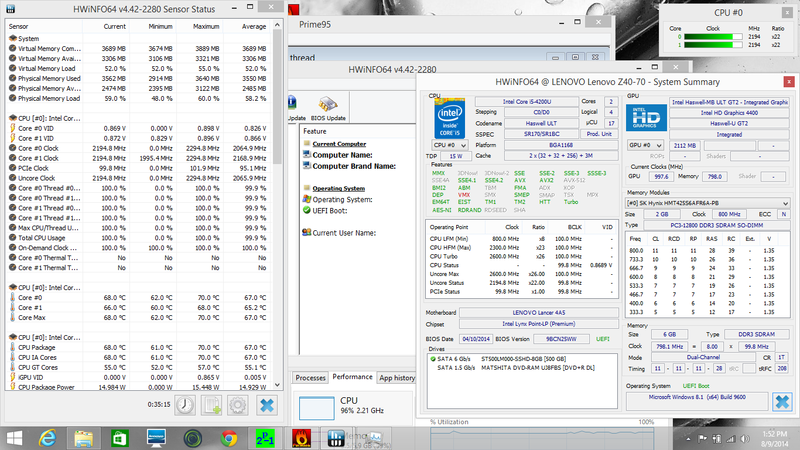 We’ve extensively tested this CPU already, but in a nutshell, its performance most closely compares to that of the Ivy Bridge Core i5-3337U. You can read much more about it at our dedicated page here. 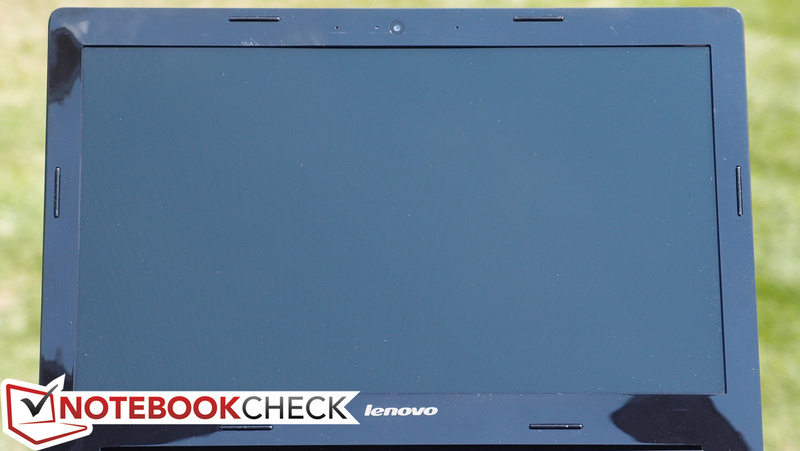 Compared to other notebooks with the same CPU, the Lenovo Z40 produces mixed results. We recorded a completion time of 849 seconds in Super Pi 32M, for instance, whereas the Yoga 2 Pro (840), HP EliteBook 850 (784), and Microsoft Surface Pro 2 (722) all post scores up to 15% higher. 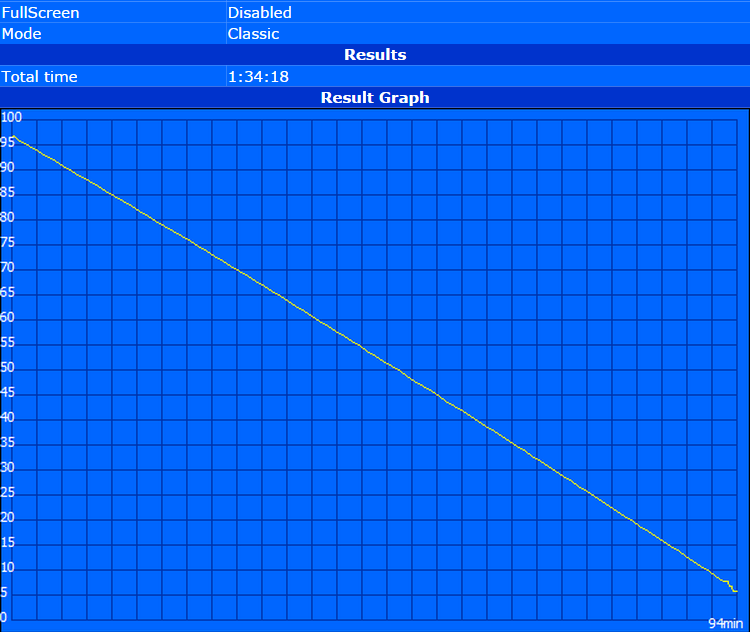 wPrime 2.0 1024m reinforces these findings with a time of 790 seconds (Microsoft Surface Pro 2: 661 s; ThinkPad T440s: 658 s). However, 3DMark 06 and Cinebench R11.5 xCPU are more positive, with scores of 3052 and 2.49 points (respectively) perfectly in line with those of comparable notebooks. 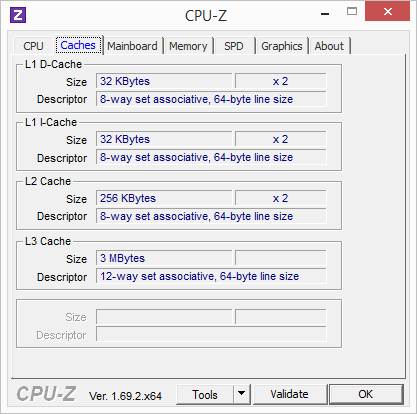 The Z40’s general system performance is reasonably good for a machine lacking a solid state drive. 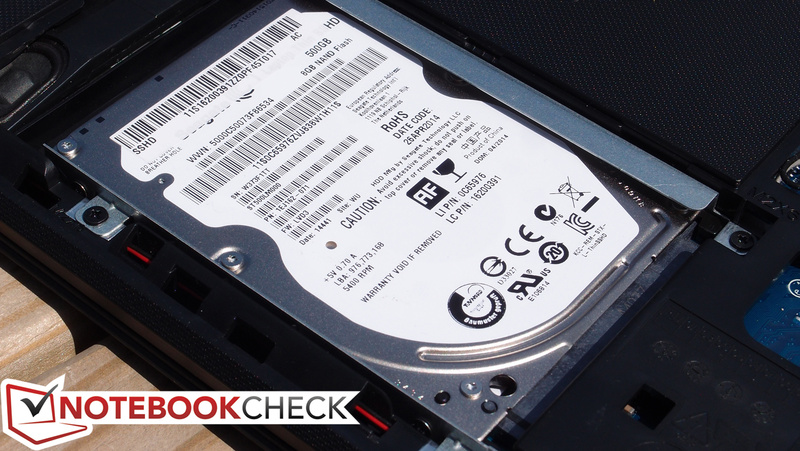 The Seagate hard drive is certainly no comparison to an actual SSD (as we’ll see in the next section), but nevertheless, a PCMark 7 score of 3793 is nothing to be ashamed of under the circumstances. The difference moving from solid state storage back to conventional mechanical drives is always noticeable, but in the Z40’s case, things ran smoothly enough regardless. 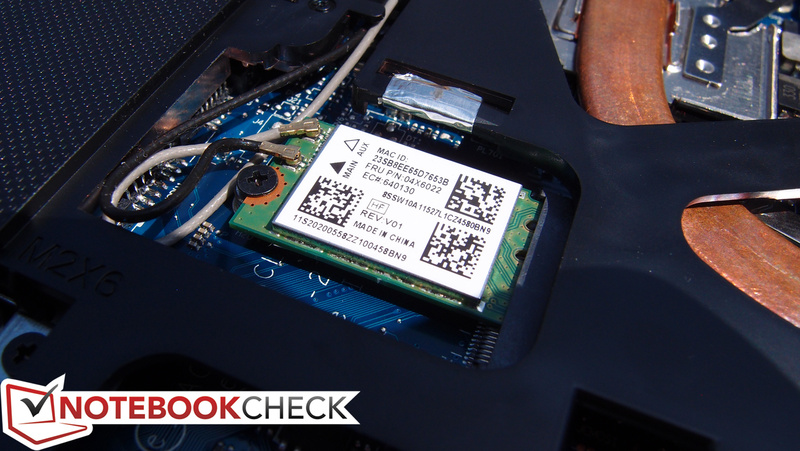 Again, in the interest of cost mitigation while still providing better-than-budget performance, the Lenovo Z40 packs one of Seagate’s third-generation “solid state hard drives” (abbreviated SSHD). This title may be a bit misleading; these drives are, in fact, not solid state drives, but rather merely conventional 5400 RPM hard drives with a NAND flash-based caching component. This cache helps to expedite the transfer speeds of commonly-accessed data and can seriously improve the transfer speeds for average day-to-day tasks under some circumstances, even in spite of a platter speed of just 5400 RPM. The exact model of the Seagate drive we received is ST500LM000; it’s a 500 GB drive with a 7mm height. 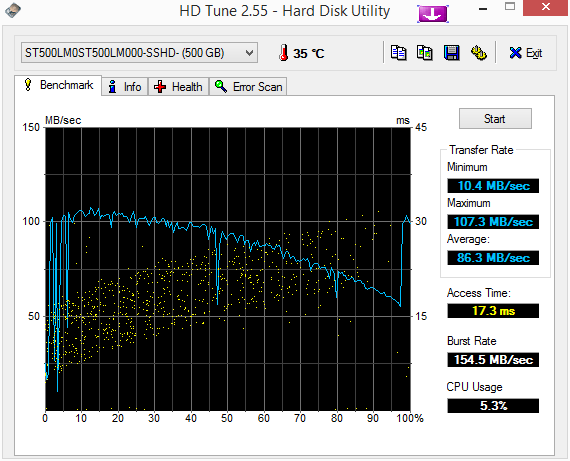 We recorded a Transfer Rate Average of 86.3 MB/s in HD Tune and Sequential Read/Write speeds of 61.62 and 111.8 MB/s in CrystalDiskMark 3.0. Those aren’t bad scores, but they clearly can’t match that of an SSD. Thankfully, it’s easy enough to swap out with a full-blown solid-state drive if the user chooses (it’s accessible directly beneath the maintenance hatch on the bottom of the PC). Though the Z40 includes a low-voltage CPU, it also features a standard dedicated GPU—an approach which allows for increased graphical power when it’s needed, but reasonable power consumption when it isn’t. The dedicated adapter is an NVIDIA GeForce 820M with 2 GB DDR3 VRAM, which is an entry-level card that is nearly identical to the GT 720M before it. 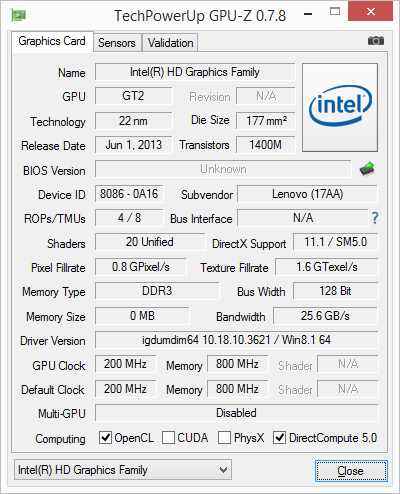 As compared to integrated graphics, only the Intel Iris Graphics 5100 can compete—and since 5100 and above are only available on CPUs with 28 W TDP and higher, it would be impossible to achieve this sort of graphical performance on the Z40 without either a more power-hungry CPU or a dedicated adapter like the 820M. To quantify the benefits of this decision, we turn to our usual array of graphical benchmarks. 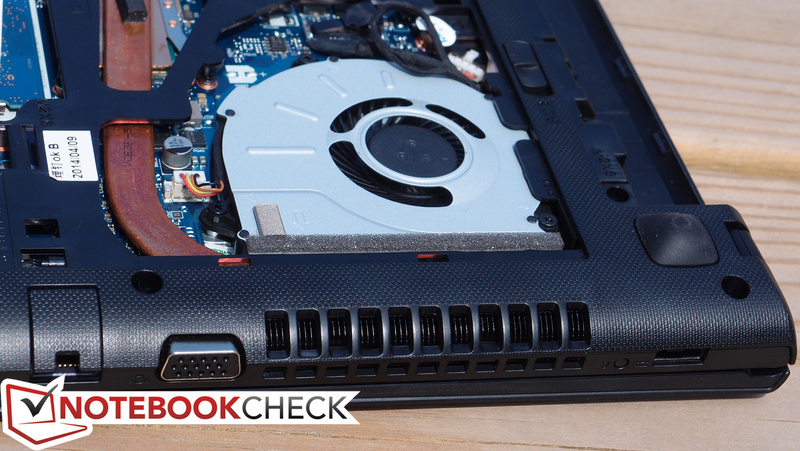 Although the Z40 is far from what could be classified as a gaming laptop or any sort of GPU powerhouse, the results that it manages in this category are still commendable for a notebook of its size and class. We find scores of 7518 and 1381 in 3DMark 06 and 3DMark 11, respectively—well beyond the 5584 (26% lower) and 897 (35% lower) achieved by the Yoga 2 Pro, for instance (which includes the same CPU but without the accompanying discrete GPU). 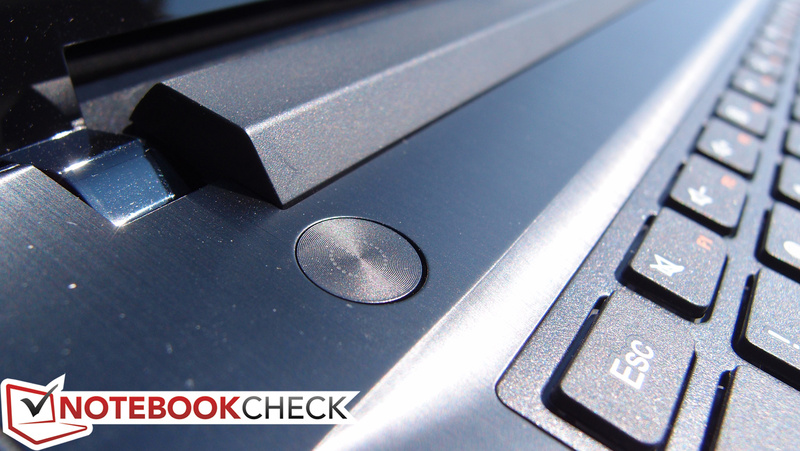 The same advantage holds true across the board when compared to other equivalent notebooks with only integrated graphics. The benefits extend to actual gaming, as well. Modern games are mostly playable on low settings and resolutions. Older games, on the other hand, may be able to handle somewhat higher settings: for instance, in StarCraft 2, we managed 47 fps on Medium settings at 768p resolution. Jumping up to High reduces the average frame rate to just 25 fps, however, with dips to 15 fps at times; in other words, not comfortably playable. While idle, the Z40 remains a fairly quiet companion, emitting only a slight whir which is audible in the quietest of environments; we measured a median of 34.3 dB(A). Under heavy stress, however, things get quite a bit louder, with a median noise level of 40.4 dB(A), with an overall maximum of 45.5 dB(A). Our temperature measurements (along with our subjective impressions) revealed only one warm spot during idle operation: the right palmrest, where we recorded 34.2 °C (and the quadrant underneath on the bottom of the unit, which reached 33.8 °C). 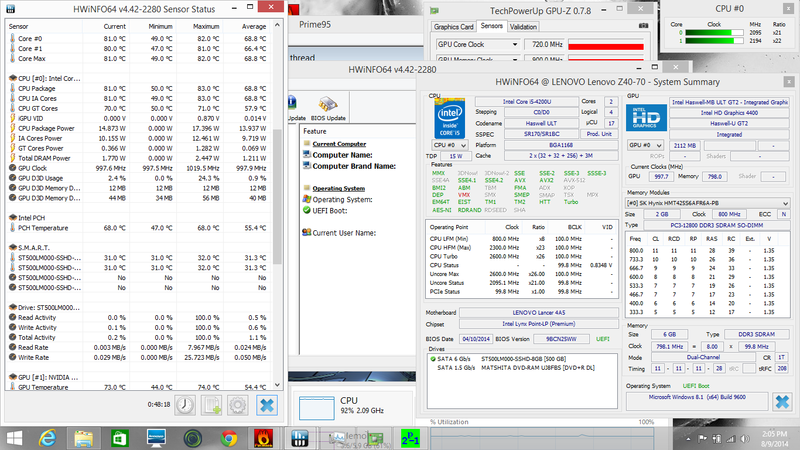 That’s not too uncomfortable, though as with system noise, the situation changes pretty dramatically under load. We saw hot spots of 45.2 °C in the center of the keyboard and 44.2 °C in the upper-right quadrant of the bottom contributing to average temperatures of 39 °C and 36.6 °C on top and bottom respectively. 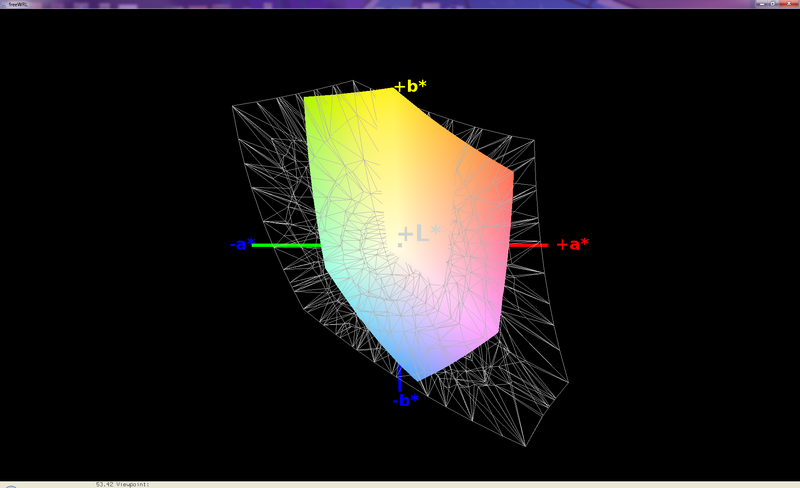 (-) The average temperature for the upper side under maximal load is 39 °C / 102 F, compared to the average of 30.9 °C / 88 F for the devices in the class Multimedia. (+) In idle usage, the average temperature for the upper side is 31.4 °C / 89 F, compared to the device average of 30.9 °C / 88 F.
(±) The palmrests and touchpad can get very hot to the touch with a maximum of 39.6 °C / 103.3 F.
(-) The average temperature of the palmrest area of similar devices was 29.1 °C / 84.4 F (-10.5 °C / -18.9 F). 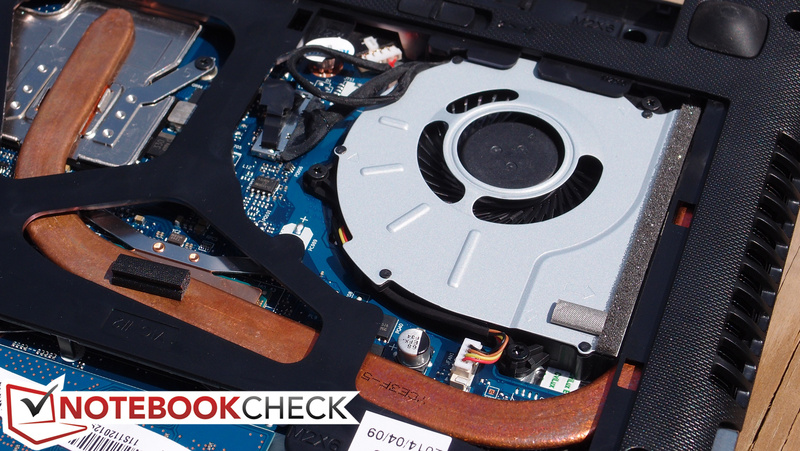 Even the most expensive Ultrabooks often have trouble handling heavy CPU and GPU stress, and as such, we subject every notebook to synthetic load of both varieties, followed by combined CPU/GPU stress, all while monitoring temperatures and clock rates. Despite its low cost and budget construction, the Z40 surprised us with its graceful handling of adverse conditions. 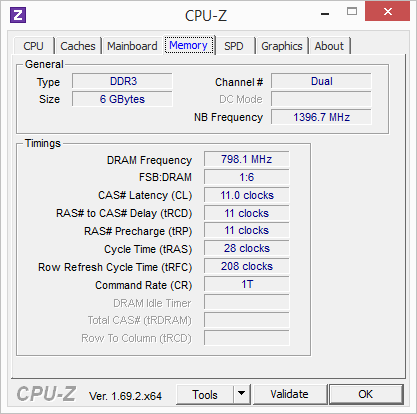 Under full CPU stress, internal CPU temperatures never exceeded 67 °C, and clock rates stabilized at 2.2 GHz, which is just 100 MHz short of the maximum dual-core Turbo Boost frequency. Under full GPU stress, we saw internal temperatures reach 72 °C before resting around 70 °C, while the GPU frequency remained at 720 MHz. Finally, under combined CPU/GPU stress, maximum temperatures rose to a toastier 82 °C—but they stabilized there, even after a full hour of stress was imposed. The effect on CPU and GPU frequencies was also fortunately minimal: we witnessed stable CPU clock rates of 2.1—2.2GHz and an unwavering GPU clock rate of 720 MHz (the same as when the GPU was stressed independently). 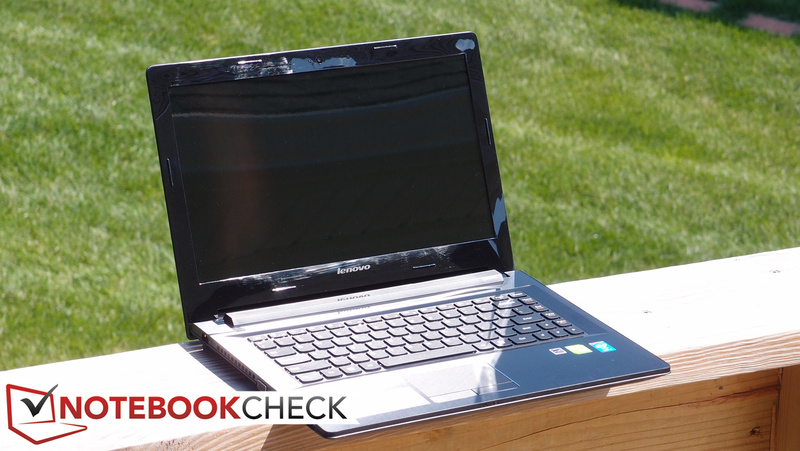 Furthermore, the notebook continued to be operable under such conditions, suggesting that neither TDP nor temperature is a concern. 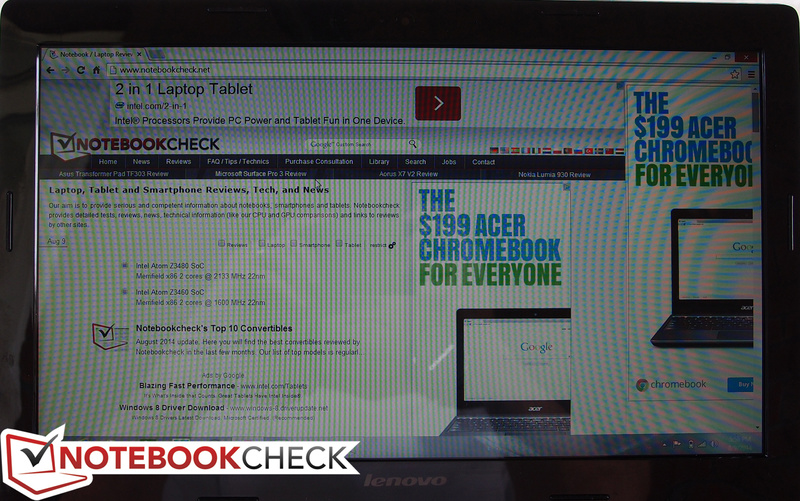 That’s quite good for a budget notebook with discrete graphics. 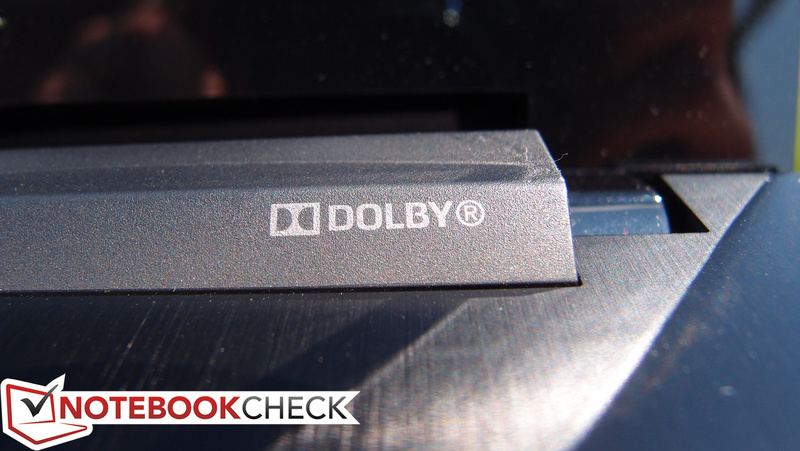 Open up an audio file on the Z40 and you’ll quickly feel the need for some headphones. Unlike more expensive notebooks with better speakers and higher-density metal cases through which the sound can easily project, the Z40 produces flat audio with a hollow sound and an overpowering midrange, contributing to the oft-referenced “tinny” highs and absent low frequencies that dominate in the budget market. The volume level is also merely adequate, and it struggles to fill larger rooms with its sound. The Z40 does a great job of managing the relatively meager 41 Wh (2800 mAh) of power it’s provided. Unlike nearly all other competitors in its size and class, it somehow churned out over 6 hours of battery life in our Wi-Fi Surfing test (6 hours, 14 minutes to be exact). That’s nearly an hour longer than the IdeaPad U430 Touch’s 5:29 (even considering its 52 Wh battery) and the Asus VivoBook’s 5:25 (46 Wh), and almost two hours better than the Gigabyte U24T’s 4:30 (48 Wh). And it’s 2 hours and 17 minutes better than the Sony Vaio Fit SV-F14A1M2E/S (3:57 total)—even though the Vaio features the same size battery (alongside a less efficient Ivy Bridge chipset and a slightly higher-res display). 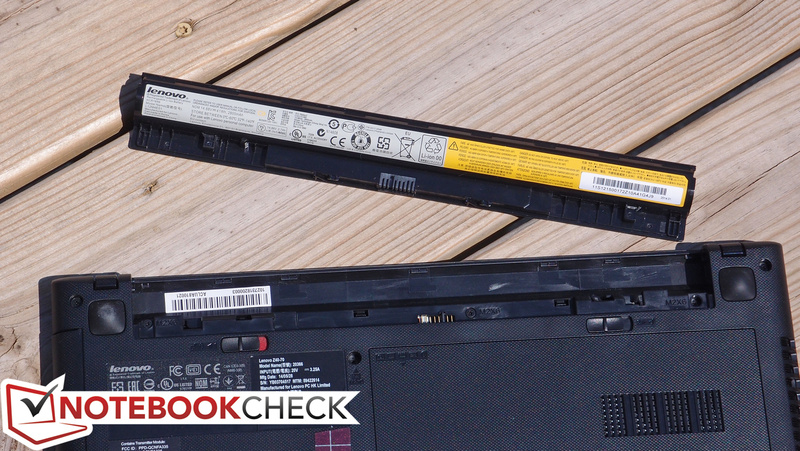 Although more expensive, the XPS 14 we reviewed (also Ivy Bridge) fits a 65 Wh battery into a case of the same weight and comparable size, and it managed 6 hours and 12 minutes, but the XPS 14 is no longer available. The other battery results are nothing special. We saw 8 hours, 9 minutes while idle (Battery Eater Pro Reader’s Test) and 1 hour, 34 minutes under load (Battery Eater Pro Classic Test). With the display brightness set to 150 nits, WLAN on and the balanced profile enabled, we were able to watch a DVD movie for about 2 hours and 10 minutes - not quite enough endurance for some feature-length films. If performance and battery life are what matter, the Z40’s got the right ingredients at a reasonable price. It features one of the most popular ULV dual-core CPUs (the Intel Core i5-4200U) paired with an efficient yet capable low-end discrete GPU (the nVidia GeForce 820M). Plus, you’ll find 6 GB of RAM and the ability to handle heavy system stress without buckling (or resulting in excessive temperatures or noise)—all in conjunction with a battery life that exceeds 6 hours while surfing at medium brightness. The price? Just $589, which seems quite generous on the part of the manufacturer. However, compromises are unavoidable in many other categories. First and foremost, construction quality and materials were clearly at the bottom of the list of priorities, as the machine looks and feels plastic and cheap with the exception of the aluminum-lined palm rest and keyboard surround. Stability of the base unit isn’t bad, but the plastic display lid exhibits very little torsion resistance, and the shiny black bezel immediately picks up smudges and even scuffs and scratches during light use. Meanwhile, the display itself is thoroughly disappointing, with low brightness, unimpressive contrast, poor color reproduction and temperature, narrow viewing angles, and a glossy finish to top it all off. Accompanying audio isn’t any better, with speakers that can barely eke mid-range sound into a medium-sized room sufficiently and which completely lack any sort of low-end frequency response or clear trebles. Finally, in terms of input devices, the keyboard is a low-end AccuType iteration, and it can’t compare to that of the Edge E431 or other higher-end Lenovo machines (though the touchpad is actually quite good). 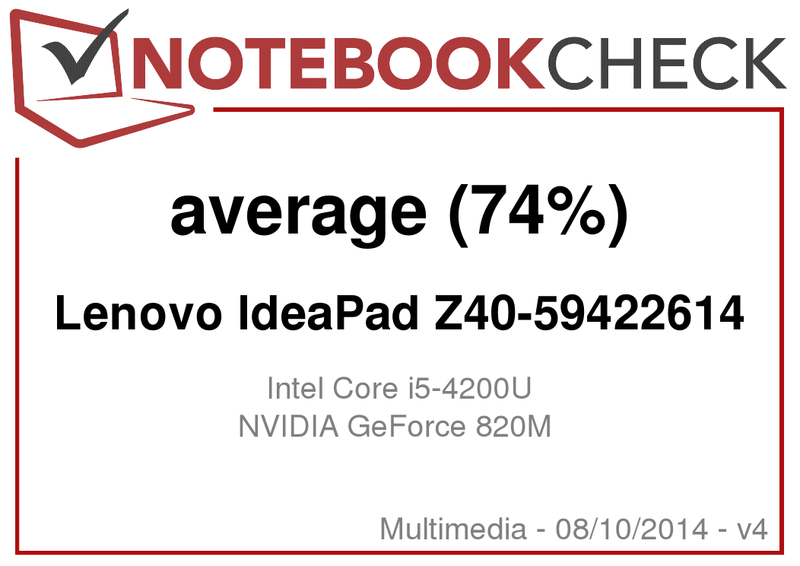 For extremely light use where performance is required (especially better-than-typical GPU performance for its class), the Lenovo Z40 might fit the bill. 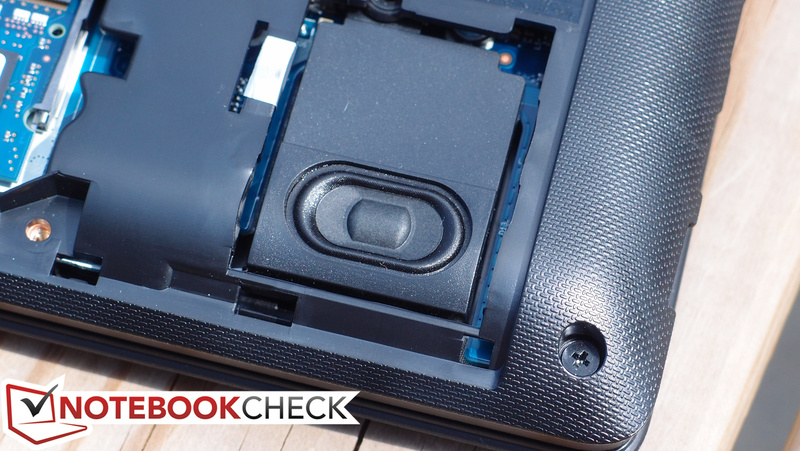 It’s true that it’s one of the more capable devices available for its size and price, and the good battery life is a nice bonus; in fact, there really aren’t that many other candidates that can check all those boxes with a 14-inch frame. But negating those benefits is the laundry list of concessions which one must accept when choosing to own one—so before committing to a relationship, ask yourself whether you’d be willing to step up to the 15.6-inch category and possibly a little higher in price (where you’ll find plenty of other options, such as the Toshiba Satellite S or the Dell Inspiron 15 5000 series). ...though the brushed aluminum finish does look nice here. The basic components are easily replaceable. The cooling system is effective at controlling temperatures. For such a small battery, runtimes are quite good. 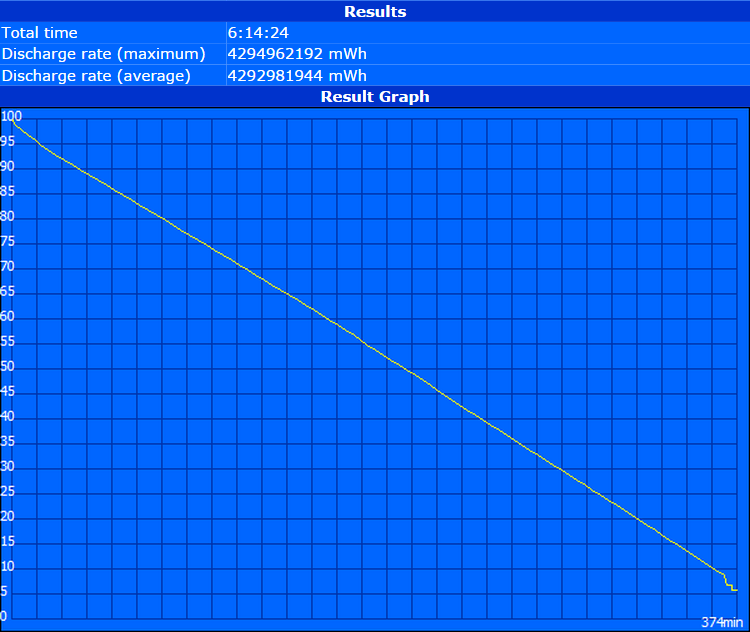 6 hours of runtime from the machine on a 41 Wh battery is better than many competitors.